Tiger G250 HD CA PVR- digital satellite receiver is designed for reception of satellite TV channels of high-definition HDTV to view free and paid channels with the ability to record via USB and built-in media player. The new model Tiger G250 HD CA PVR based on ALI3601 processor. Tuner is compact, allowing you to place it c the back of the TV. Connection to the Internet is possible thanks to the support WiFI adapter. 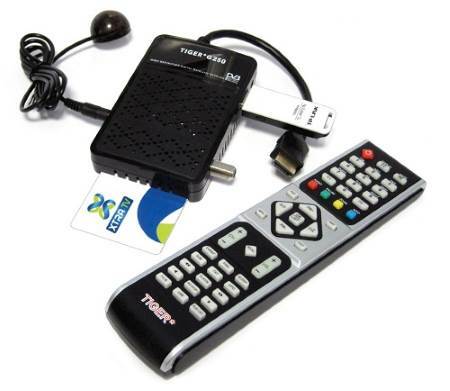 Card reader works fine with the cards Xtra TV (card activation occurs for 6 seconds), NTV, Telecard, etc.